The Numbers Behind Thomas Chabot's Sophomore Scoring Explosion - The Point Data-driven hockey storytelling that gets right to the point. After dealing away All-Star defenseman Erik Karlsson before the season, the Senators probably didn’t expect to have the highest-scoring blueline in the NHL, but that’s exactly where they stand at the moment. Their defensive group leads the NHL with 16 goals, headlined by a monster start to the season by Thomas Chabot. 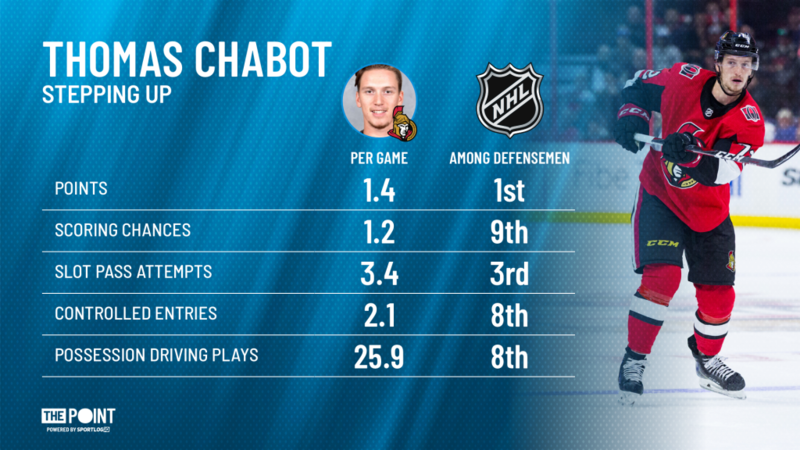 To say that Chabot ran with the opportunity following Karlsson’s departure is a massive understatement. He is second in goals among defensemen with five and his 22 points trail only Connor McDavid and Mikko Rantanen for the league lead. In fact, he’s only three points shy of his career-high of 25 from last season. And if you think it’s a fluke, think again. Chabot ranks as one of the best in a number of key performance indicators. Chabot is also averaging a team and career-high in ice time, with 23:04 minutes a night on average, which ranks 30th league-wide. He also ranks 21st in total possession time and with good reason, as he has the 16th-lowest turnover rate of any player with a minimum of 150 minutes played, a sample size of nearly 500 players. 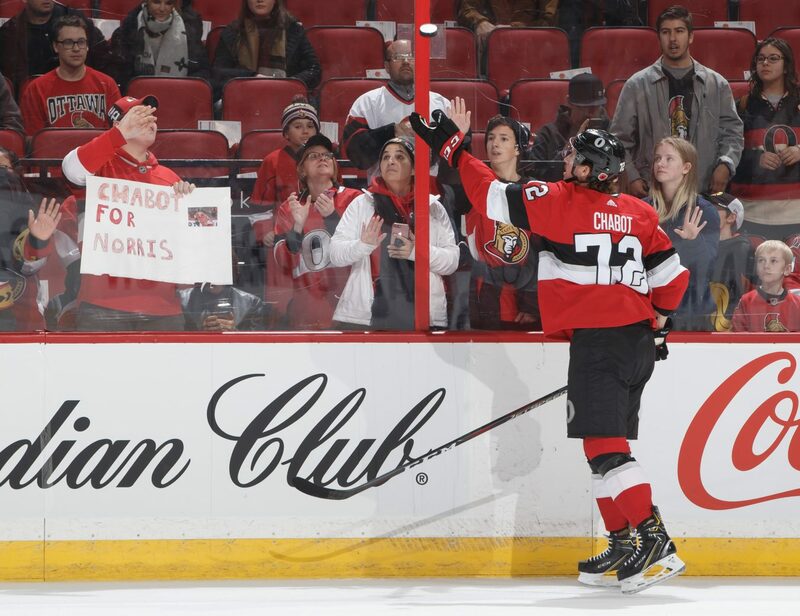 For all the turmoil that has surrounded the Senators organization over the last calendar year, Chabot’s play is definitely a breath of fresh air and optimism for the fanbase.